Industry margins are tightening while competition for consumer mindshare is increasing. Today’s consumers want it all, convenience, quality, value and speed. Most of all they expect you to cater to them with a personalized multi-channel experience. Fortunately, innovative new technologies are making this possible. The brands and retailers who are capitalizing on these trends are growing faster than their peers and reaping the rewards in their bottom line as well. 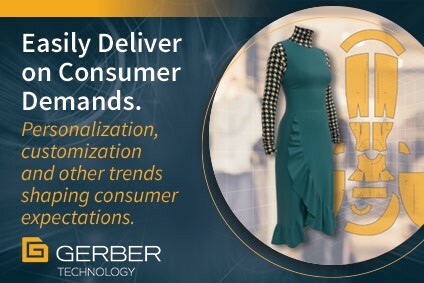 In this webinar Gerber Technology experts Karsten Newbury, Mary McFadden and Clayton Parker cover practical real-world insights of the macro and micro industry trends, looking at product design and development all the way through to a retail or omni-channel experience, and eventually competing and winning in 2019 and beyond. By submitting this form, you give permission for your name and contact information to be shared with Gerber which may contact you in regards to the content.